One of the best things about Japanese cuisine is that there is always room for creativity to explore and develop new and exciting dishes, and Yelllowfin restaurant located along the main road of Senopati has taken advantage of this concept to its full capacity! First of all the ambience of Yellowfin is amazing. The interior of the venue is just bathed in sunlight during the day and with decor decked out in different types of wood, the setting here is just warm and delightful. A perfect Zen environment to relax and really get into your meals. Their lunch and dinner menu ranges from noodles and rice dishes, original appetisers, grilled food and lots and lots of Sake. We must say their Sake list stretches a full page and the best thing is they do Sake Deliveries. Their appetisers are quite interesting with original dishes of Salmon Pizza, Uni cocktail, BLT roll to name a few. 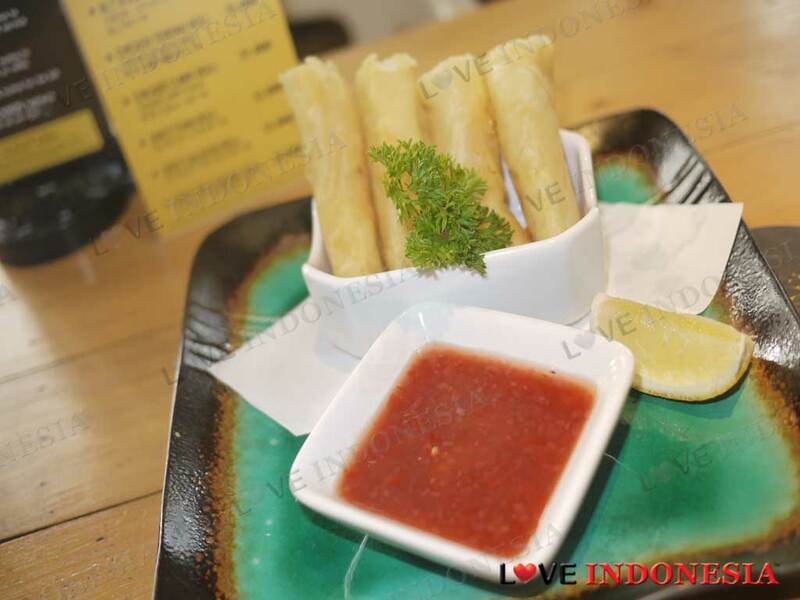 We recommend the Ebi Harumaki which is basically deep fried prawn spring rolls in rice paper and slices of mushroom accompanied with a salsa and wasabi fusion sauce. For mains, your choices are endless at Yellowfin but we decided to go with their hot Shoyu Ramen, a dish where you can choose a spicy level from 1 (being the mildest) till 5 (being the spiciest of course). We thought we would accept the challenge and order a level 5, just to prove that we as Indonesians can handle our chillies. To our utter astonishment when the noodles arrived in a massive bowl swamped with a copious amount of red birdâï¿½ï¿½s eye chillies floating all in the soup, well then let's just say we got quite nervous. At the third slurp of this Ramen soup dish, our tongues were on fire and it is a good thing that there is a bottomless supply of ice Ocha tea. Aside from this dish being super spicy, it actually tasted really good once you got pass the 'being on fire' stage. The ramen is served with 2 slices of chicken, egg and horenso. 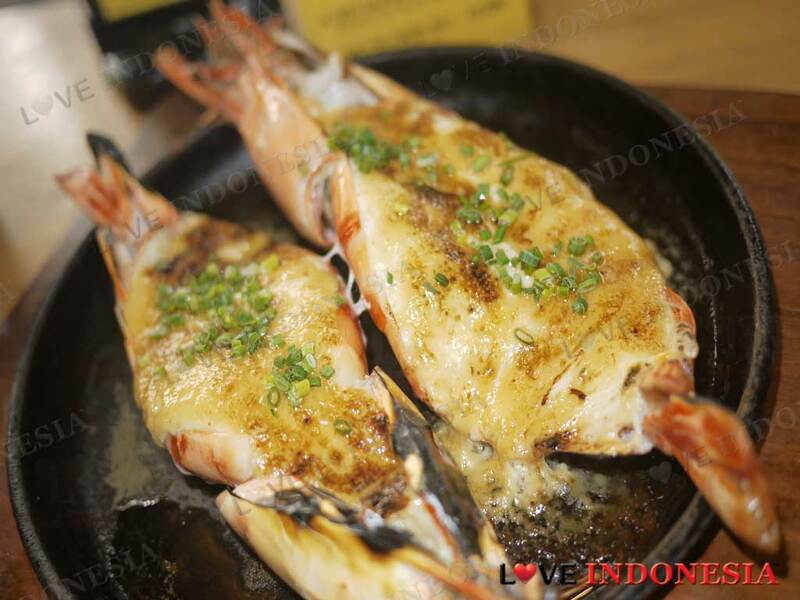 To cool down we suggest you order their Ebi Creamy Spicy Yaki dish which is basically a Japanese version of Lobster Thermidor, except it is king prawns filled with the savoury and addictive Kewpie Mayonnaise and spicy sauce. A really filling meal. For desserts, we would suggest you try their signature cocktails which are kooky in a good way. Where else can you get Sakeroschka, Wasabi Mary and Sakepolitan? 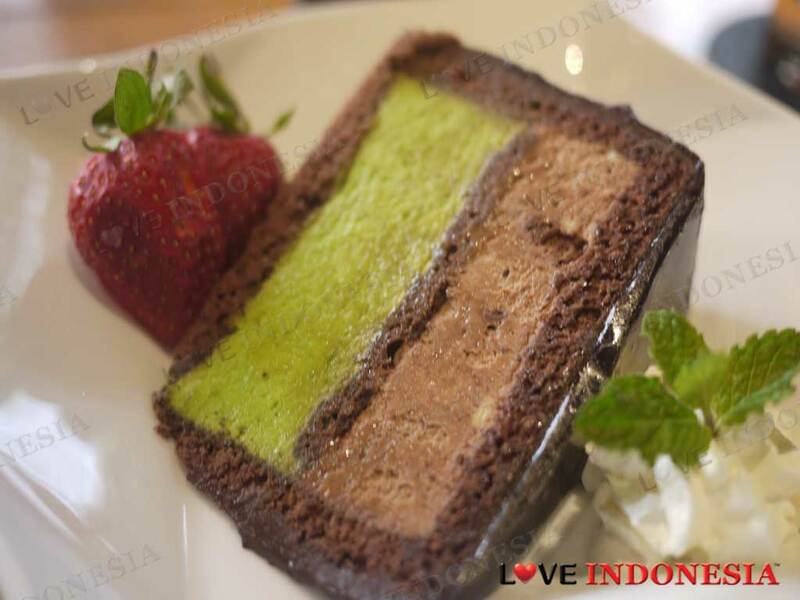 For non-alcoholic options, we recommend the Avocado Mousse-Cake which is simply divine.